At Alta Easterly, your ideal suburban life is within reach. Enjoy all the benefits of urban living, with convenient amenities and a strong sense of community, while being within minutes of the serene, wooded Moose Hill Wildlife Sanctuary. 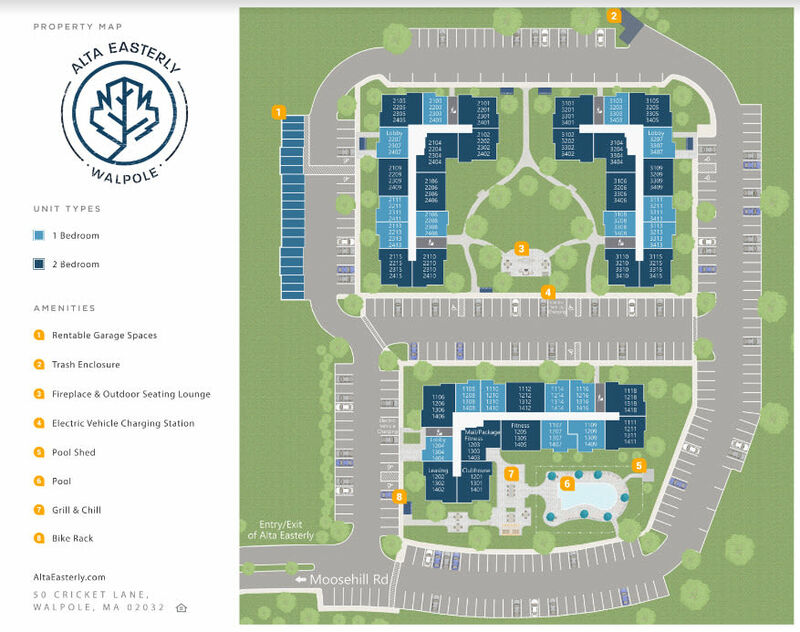 Whether you’re looking for a one bedroom apartment to share with your pet or a two bedroom apartment for roommates or family, Alta Easterly has the spacious floor plan to meet your needs. Our luxury apartment homes come with the fine finishes and thoughtful design features that you would choose for your own home. 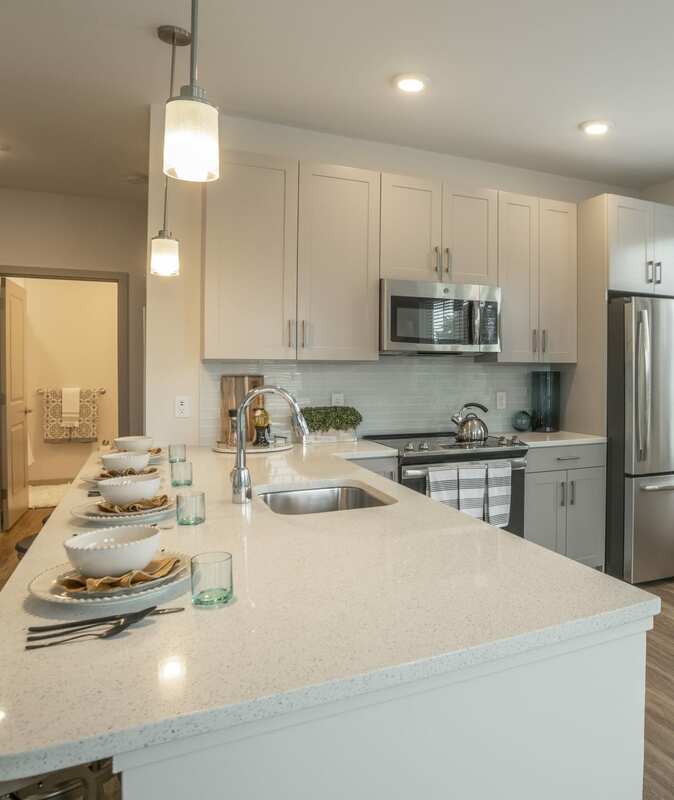 As soon as you walk through your new front door, you’ll be welcomed by sophisticated wood-style flooring extending into your fully equipped kitchen. Sleek and modern stainless-steel appliances make it easy to prepare gourmet meals. On warm nights, enjoy dinner alfresco on your private balcony or patio. A tile backsplash and designer pendant lighting add personality to your space, and central air conditioning keeps your home at your preferred temperature year-round. 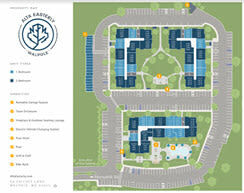 Choose your preferred floor plan, then come see our community in person. Our onsite management team can’t wait to show you around your new home. Choose your favorite floor plan online, then come see it in person. Our leasing team can’t wait to show you around your new home at Alta Easterly.